Could you use a little help in your life — maybe an afternoon of yard work or math tutoring for your child — but can’t really afford to pay someone for it? Do you also have something to offer, perhaps gardening know-how or plumbing expertise? Hold on to your hard-earned cash and consider joining a community time bank. It’s a great way to “pay” for services without spending a dime, while discovering your own otherwise untapped resources and getting to know your neighbors. After all, just because money is tight doesn’t mean we lack economic value — and by eliminating the cash transaction, we’re really just getting back to the roots of a civilized economy. Here’s how it works: You spend an hour doing something for somebody in the community. This gets “banked” as a Time Dollar in a Web-based database (a time bank). Finally, you “spend” that banked Time Dollar by having someone help you for an hour. It’s really that simple, made feasible by the networking power of the Internet. So, what does this have to do with sustainability? Time banking emboldens communities with a powerful economic system that can withstand the shenanigans of Wall Street while sidestepping the perils of debt, creating a truly local and self-organized safety net. 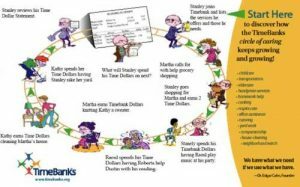 That’s the warm and fuzzy, community-building element to time banking — but all you need to know is that time banks are a powerful way to save money in a time of economic uncertainty. Thankfully, someone already has done the heavy lifting by creating a time bank for the greater Bay Area. Signing up is simple: Just click on the “sign up and start time banking now” link; provide your e-mail address, name and ZIP code; list services you would be willing to offer; describe your interests; and indicate which neighborhoods with which you would like to be involved. Then, your account is ready to use. 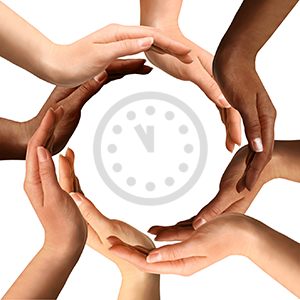 An even better way to connect with others in San Lorenzo Valley is to join the Transition SLV group within the BACE time bank. You don’t have to be a member of Transition SLV to join the group, but the grassroots community organization always welcomes new recruits. When you log in to the BACE site, you’ll see a tally of hours given and hours received, a section with active bids and offers, and a listing of recent transactions. Anyone familiar with social networking sites (e.g., Facebook, LinkedIn) will find it intuitive, but it’s easy enough for newbies, as well, so don’t be intimidated. Requests and offers are organized into the following categories: arts & crafts, building trades, business & administration, computers, education, entertainment, event production, food, gardening & yard work, gifts, goods, health & healing, home improvement, household services, legal/law, mechanical, transportation, urban homesteading and writing. Examples of some current offers include child care groups, video production, data entry, foreign language tutoring, therapeutic massage, garden consulting and even grocery shopping. Time banking is a simple yet powerful way to weather tough times while strengthening our local economy. And everyone has something valuable to offer. Steve Tanner is a writer and journalist living in Ben Lomond with his wife, young daughter, dog and four hens. He is on the steering committee for Transition San Lorenzo Valley, a local nonprofit committed to creating a more sustainable and resilient community.